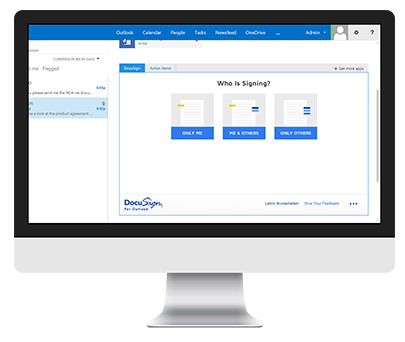 With DocuSign for Outlook, organisations of all sizes can increase productivity, reduce costs and improve customer experience by enabling individuals and organisations to legally and securely sign and return documents directly from their Outlook inbox. 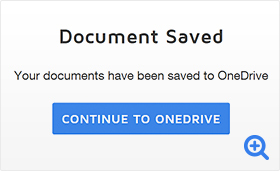 Eliminate the need to print, scan, fax, or send documents overnight by securely signing and returning documents without ever leaving your Outlook inbox. 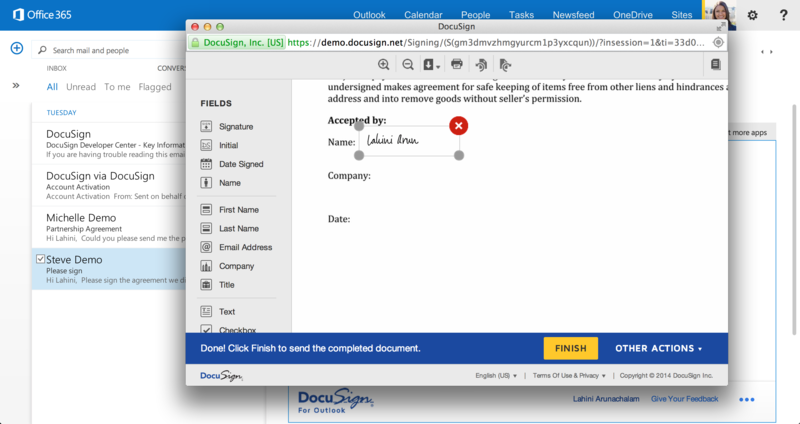 If you need others to sign the document, specify the recipients and tag the document using DocuSign directly from the app. 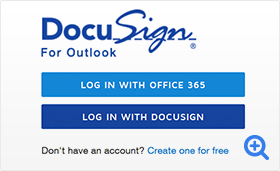 Access DocuSign from the Outlook apps toolbar by logging into your existing DocuSign account or create a new one using your existing Office 365 credentials. Your accounts are automatically synched using single sign-on capabilities powered by Azure Active Directory. 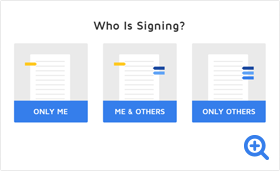 Start the signing process from the new mail/reply window, just like you’re writing a new email. 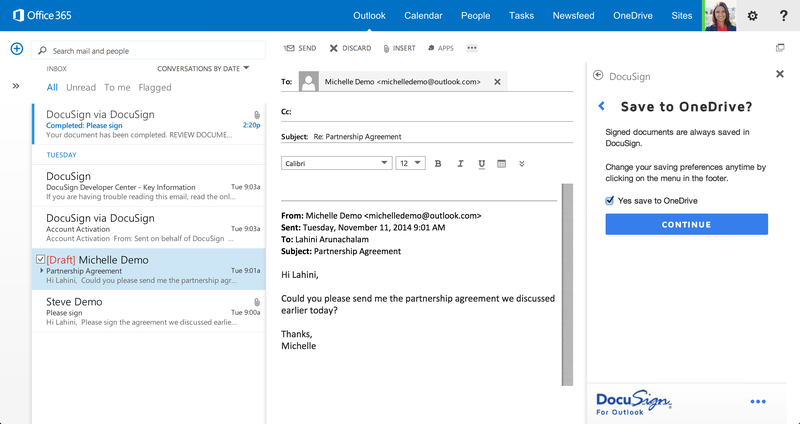 Simply upload your documents and DocuSign for Outlook prepopulates signers from your email message. 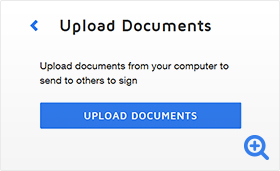 Connect your DocuSign account with your Office 365 credentials and automatically save copies of completed documents to OneDrive for Business for easy, centralised access. 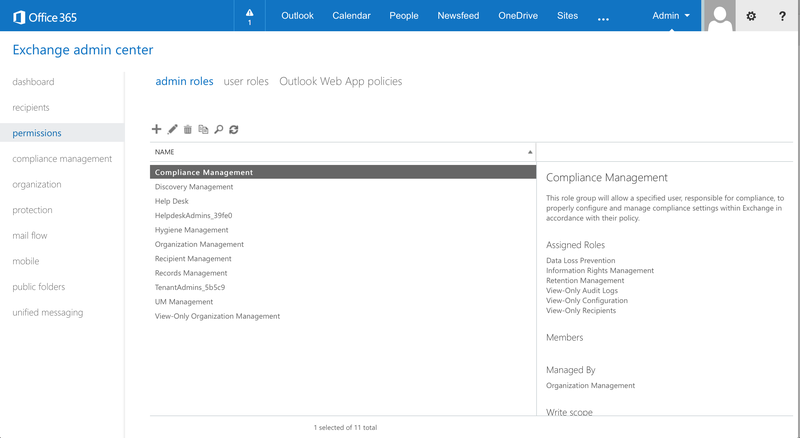 Administrators can easily manage DocuSign for Outlook for any organisation. 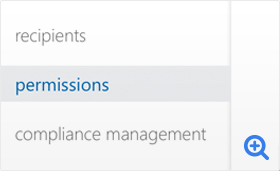 Grant access, easily add and remove users, and manage and configure permissions and controls. Ensure compliance and maintain a centralised, secure location for all DocuSigned documents throughout your organisation. 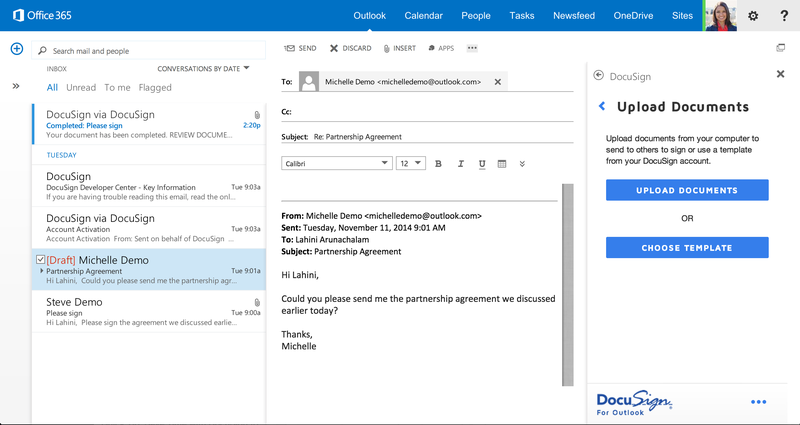 DocuSign for Outlook is designed to work with Outlook Online (Outlook Web App), Outlook 2013 (Windows), and Outlook 2016 (Windows and Mac).